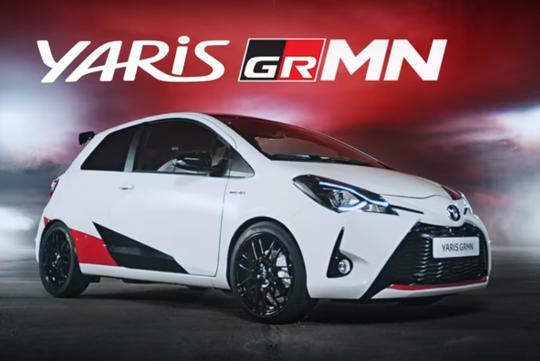 Toyota has just released a spot showing off its new supermini-sized hot hatch, the upcoming Yaris GRMN. It has been some time since Toyota has a hot hatch in its line up and judging from how the car sounds at full chat, we can hardly wait. However it remains unclear whether the car will make it onto our shores. Powering the hatch is a supercharged 1.8-litre engine that will make more than 200bhp and is paired exclusively to a six-speed manual gearbox. Toyota also claims its century sprint timing will be class-leading, meaning it will accelerate faster than models like the Fiesta ST and the Renault Clio RS. Elsewhere, the car will a Torsen limited-slip differential, a set of shorter springs, bespoke Sachs dampers and a fatter front stabilizer bar, with Gazoo Racing tuning the suspension on the Nurburgring.